Discover this Tea Control set containing a glass teapot and a permanent tea infuser from Finum. The teapot holds 80cl. Created by A. Riensch in 1845, Finum has been specialising in the domestic filter market since 1974. 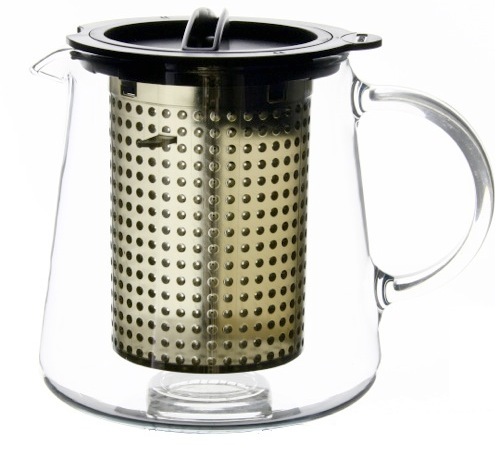 The brand's core business has been centred around the manufacturing of filters for household use, as well as a range of specific products for tea and coffee lovers. Discover the Carat 600ml teapot from Japanese brand Kinto. A teapot with a unique design, created to optimise the infusion of your tea. Made with high quality material. Infuser included.